There are lots of best Kpop songs on the market. What are your favorite top Kpop songs? Different strokes for different folks. According to the big data, here I would like to introduce some most popular Kpop groups, Korean top songs and best Kpop music videos to you for your reference. You can also have the opportunity to obtain the method to extract Kpop popular songs from Kpop music videos as well. When it comes to the Kpop top 10 groups, you may not know the answer. You are lucky to read this part to have a look at the list of Kpop boy groups and female Kpop groups list. The chart are shown below for you to check out. These popular Kpop groups have many gorgeous songs to listen to. If you have time now, you can search these bands on the Internet to see their detailed introductions. After you have learned the most popular Kpop group worldwide, you can continue to learn what are the top 10 Kpop groups in 2018. The chart is listed below for you to refer to. Let’s have a look. After you listened these great Kpop songs, you will know how wonderful the melody is. You can download some of them to your computer or smart phone to enjoy listening them on the road to work or on your way home. Sometimes you may want to enjoy the Kpop songs with videos. If this is what you want, you can find some great Kpop music videos to appreciate. In order to save your time to search for them, you can make use of the following chart to enjoy some amazing Kpop music videos in your spare time. Now follow me to check them out. These most popular Kpop songs videos are composed by the most popular Kpop bands as well, which are more interesting to watch while listening to the music. You can open the link of them to watch them right now. When you enjoy the best Kpop music video, you may desire to extract the Kpop song from it. This process seems to be difficult. However, if you get the help of Leawo Music Recorder, this goal can be realized easily. This great tool has become a good assistant program to record computer audios and input audios. You are also able to edit the parameters of the recorded files according to your need. Now let’s begin to see how to make it via this wonderful software. Launch Leawo Music Recorder and then check “Record Computer Audio” to extract popular Korean songs from Kpop music videos. 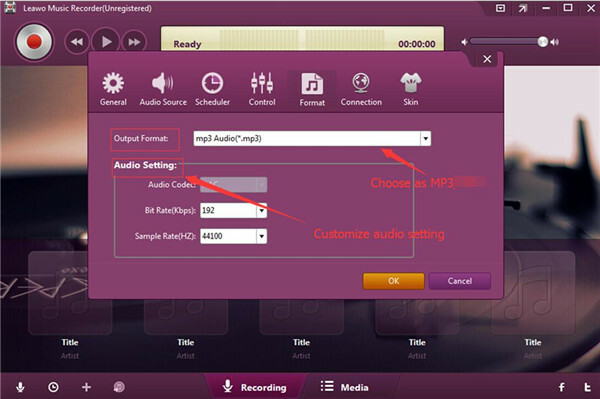 Tap on “Format” button to choose “Output Format: mp3 Audio (*.mp3)”. The audio code, bit rate and sample rate can also be set according to your prefer via the “Audio Setting” function area. Afterwards, tap on “General” panel to find a folder on your computer to save the exported audio file. 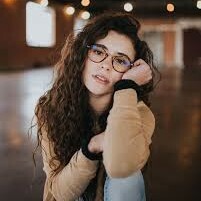 Choose one language as you like. 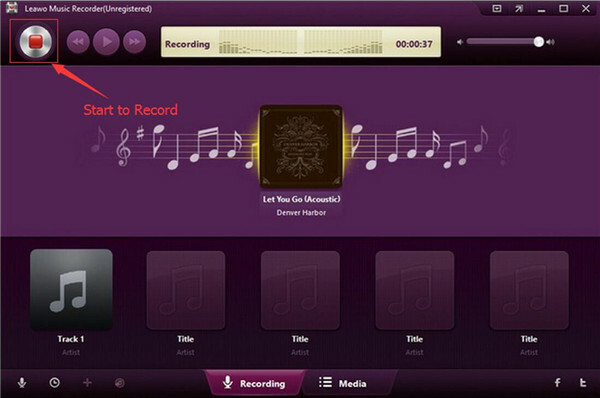 In the main interface of the software, click on the red button to invoke the recording procedure. Playing the Kpop music video on computer at the same time to allow the software to record the track. When the video comes to an end, hit the red button once again to terminate the recording process. 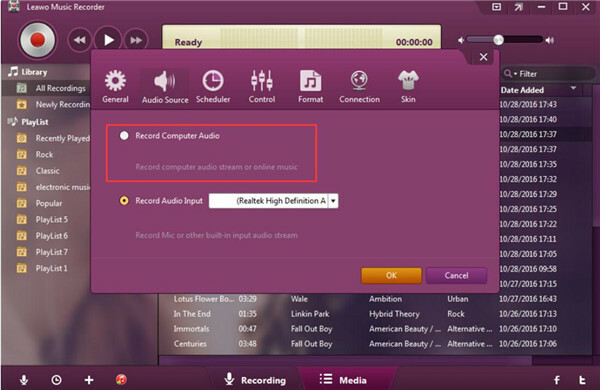 In fact, you can also record the Kpop music video to the format of WAV and M4A. When you can not download some songs of best Kpop bands online, this way can also work well to help you to save them to computer folder for you to enjoy at anytime you like. With this fantastic software, there is no need for you to buy them online any longer.